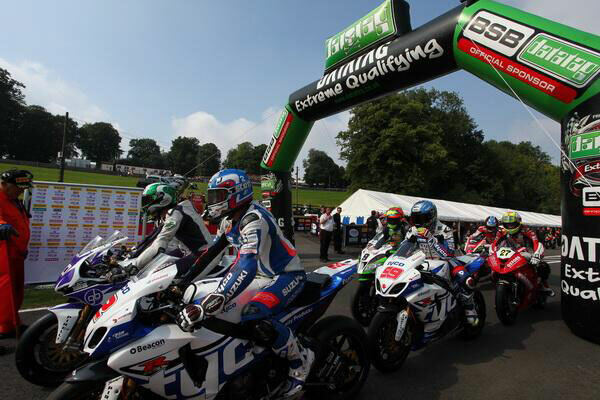 Alex Lowes claimed his first double win of the MCE Insurance British Superbike Championship in front of a huge home crowd at Cadwell Park, but the Samsung Honda rider came under intense pressure on the final lap with Tyco Suzuki's Josh Brookes snatching the lead before crashing out of contention. Brookes had hit the front of the field on the opening lap but it wasn't long before race one winner Lowes made a move for the lead with a dive down the inside into Park corner. The Samsung Honda rider instantly came back under attack from Brookes, but Lowes held the position with Tommy Bridewell holding an impressive third place ahead of James Ellison and Shane 'Shakey' Byrne. Bridewell was constantly looking for a way to get ahead of Brookes and on the sixth lap he was given the opportunity when the Tyco Suzuki rider made an uncharacteristic mistake on the landing at the Mountain which unsettled him, and the Halsall Racing Kawasaki rider made a move into Hall Bends. Ellison was then piling the pressure on Brookes and hassling the Tyco Suzuki rider, as he was pushing the Milwaukee Yamaha rider to try and make amends for his crash in the opening race. Brookes rode hard to keep him behind with Byrne also on the back of the lead pack. At the front the battle was raging as Lowes held the advantage from Bridewell and Brookes, but in the closing stages the Australian upped the ante to first pass Bridewell on the penultimate lap with a move down the inside at the Hairpin. Brookes was then pushing to close in on Lowes and on the final lap he made a lunge down the inside into Park to hit the front of the pack again. Lowes was looking to get back ahead but on the run into Mansfield Brookes made an error and crashed out of the race unhurt. Lowes claimed the double win as Samsung Honda celebrated at their home round whilst an emotional Bridewell equalled his best ever finish in the championship with a second place for Halsall Racing Kawasaki in only his second round with the team following a stunning performance as Ellison returned to the podium in third ahead of Byrne. Lowes said: "It has been a fairytale weekend. That race was so hard and fair play to Josh as he stuck with me and pushed me. When he came passed me I thought no, I have led all this time and he has got me on the final lap, but then luck was on my side. I hope Josh is ok and I am sure he is going to come back strong at Donington. I want to thank my team and I am looking forward to the rest of the season." Ryuichi Kiyonari claimed a fifth place ahead of Chris Walker who held off Peter Hickman on the Lloyds British GBmoto Honda. The pair had been fighting it out with PJ Jacobsen but the Tyco Suzuki rider crashed out at Charlies on the ninth lap unhurt. Josh Waters returned to the top ten on the second of the Milwaukee Yamahas ahead of the duelling Buildbase BMWs of James Westmoreland and Jon Kirkham. 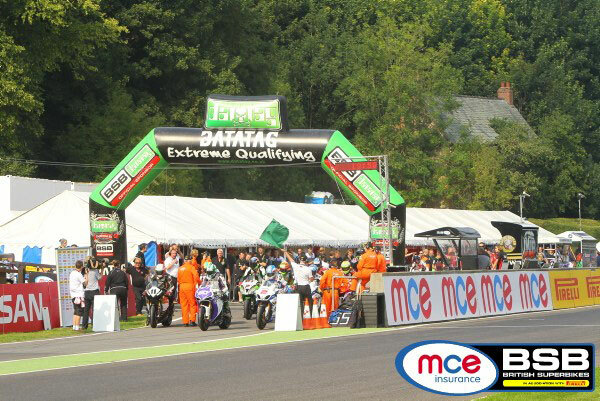 The next round of the MCE Insurance British Superbike Championship takes place at Donington Park (6/7/8 September). Tickets are available on the gate with children under 13 free. For more information click here or call 0843 453 9000. 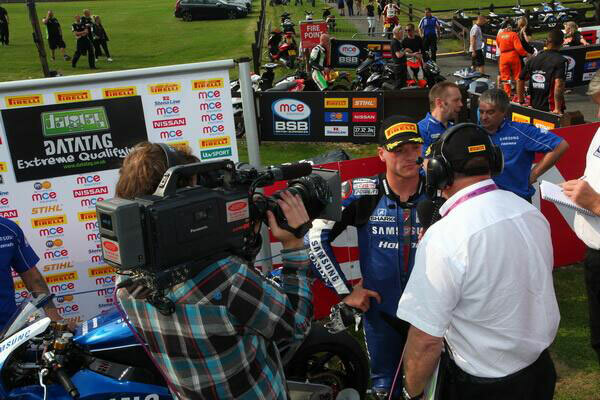 Alex Lowes and Samsung Honda are celebrating this afternoon after setting an impressive lap at their home round of Cadwell Park to claim the pole position for tomorrow's opening MCE Insurance British Superbike Championship race. The final Q3 session again produced some dramatic action as Josh Brookes crashed out at Barn corner unhurt but he will start from row three in seventh position for the Tyco Suzuki team after only completing one flying lap. Lowes had been the pace-setter in the two dry free practice sessions and came out determined in qualifying, setting the lap and heading off the challenge from Shane 'Shakey' Byrne and James Ellison who complete the front row for the opening race. PJ Jacobsen heads row two for Tyco Suzuki with Tommy Bridewell having another strong performance on the Halsall Racing Kawasaki as he sits fifth on row two ahead of triple champion Ryuichi Kiyonari. Keith Farmer and Peter Hickman complete the third row for the Rapid Solicitors Kawasaki and Lloyds British GBmoto Honda teams respectively with Quattro Plant Bournemouth Kawasaki's Chris Walker completing the top ten.